MSc Architecture | Erasmus | Portfolio design. Studying at NTNU Trondheim, one has the luxury of being able to use the tools available at the Lucas wood workshop. Portfolios often result in 2D (digital) objects. Another way to construct a portfolio is by making an artifact. As I was living in Trondheim and fishing a lot, I was inspired by the ‘lure.’ The artifact could function in a similar way, casting it out to try and catch the fish (or employer). 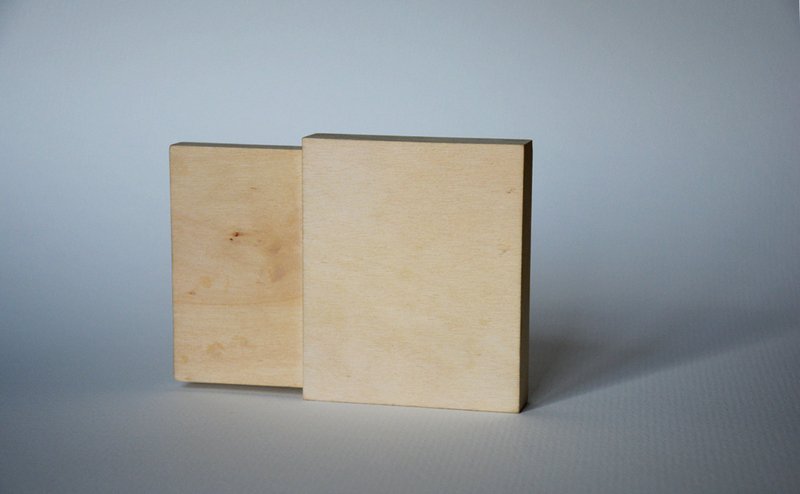 A 3D box was constructed of laser cut birch plywood. 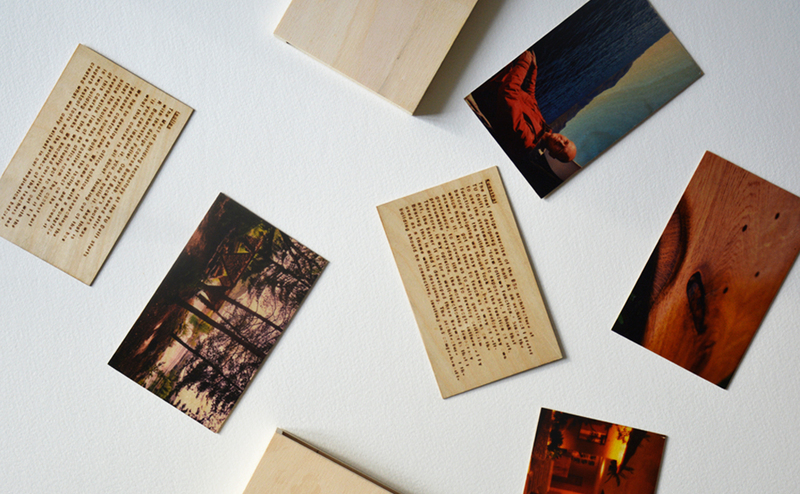 The box holds thin wooden cards of fly finer with a print of the project. 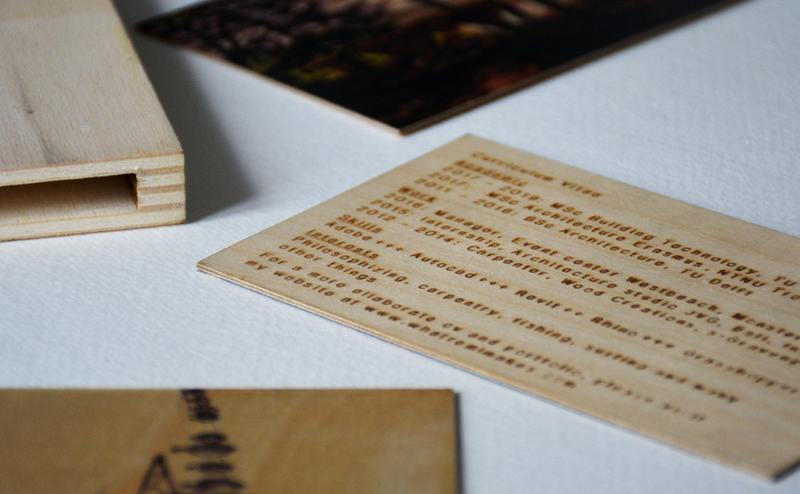 On the back of the cards a short description of the project is provided, which was engraved with the laser cutter.